Webshots Desktop is a free software that lets you create wallpapers and screensavers from your own photos. You can use your own photos, photos of friends, and even photos from web to create nice looking wallpapers and screensavers. Webshots Desktop not only lets you create wallpapers and screensavers from your photos, but also lets you upload and share photos online with your friends. You can easily manage your photos with Webshots Desktop and even download thousands of unique professional photos shared by other users. What all I can do with Webshots Desktop? Webshots Desktop offers you a simple way to create wallpapers and screensavers from your own photos. The only thing you need to do is to make an account with Webshots. Once you get registered with Webshots, you can easily manage your photos as wallpapers and screensavers. And since you becomes a member of Webshots community, you can download thousands of professional pictures, upload your own pictures and videos, and share them with other friends on Webshots. Also check our reviews on WallCast, which is a free software to create photo collage wallpaper for PC. How to Create Wallpapers and Screensavers using Webshots Desktop? To create your own wallpapers and screensavers, just open Webshots Desktop application, and select the photos that you want to use. You will then be presented with easy to understand options to customize your wallpaper and screensaver. Lets see how you can use Webshots Desktop to create your own wallpapers and screensavers. Create Collection: As you open the application you will see four different tabs on the top. In the “Wallpaper & Screensavers” tab, you will see a sample collection with different sample pictures. To create wallpapers and screensavers from your own photos, you need to create your own collection. Click on the “Create Collection” button to create your own picture collection. Add Pictures to Collection: Then, you can add different pictures to your collection which you want to use as your desktop background or screensaver. You can add pictures to your collection from the “Add More Files“ option. 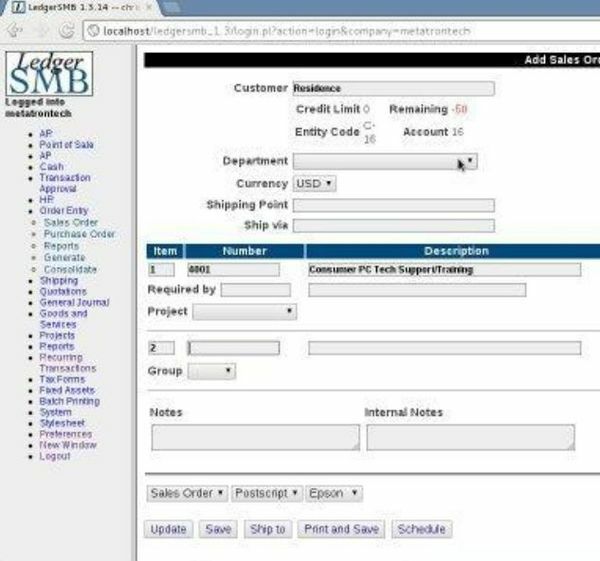 You have options to add pictures from your own computer or download them online from Webshots. Adding pictures from your own computer involves a 3-step process. Step-1: Select a collection (from the list of all the collections you have created), where you want to add files and press the “Next” button. Step-2: Add as much photos as you want by clicking on the “Add More” button. You can optionally do little bit editing by rotating or cropping the image if you want. Step-3: Finally press the “Next” button to finish processing files. You can view your collection after the processing finishes. 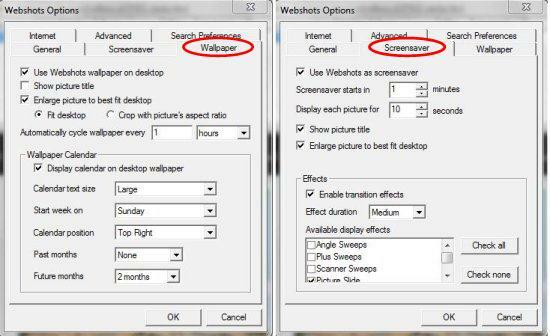 Set Wallpaper and Screensaver properties: You can set your wallpaper and screensaver properties from the “Options” button present on the top right corner of the Webshots Desktop window. Once you set the properties, the photos from your own collection will be set as your desktop wallpaper and screensaver. Create Wallpapers and Screensavers from your own photos: Webshots Desktop lets you create wallpapers and screensavers from your own photos. Download Professional Pictures from web: As a registered member, you can download several beautiful professional pictures from Webshots online store. Cycle Pictures: Webshots Desktop also lets you cycle your wallpapers. In this way, you can get a new wallpaper everyday. This would give a fresh and new feeling to your desktop everyday. Upload and share Photos Online: You can upload your own photos on your Webshots account and share them with your friends on Webshots. Multiple Photo Search options: You can search and download images from galleries, daily uploaded photos, communities, and hundreds of different categories available on Webshots. Full Screen Slideshow: You can see a full screen slide show of all the photos that you add to your collection. Also check 5 free software to create screensavers from your own photos. Webshots Desktop is an easy to use, and completely free photo management tool which lets you create wallpapers and screenshots from your own photos. It also facilitates you to download thousands of beautiful professional pictures from its online store.